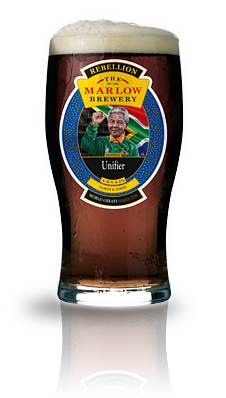 Unifier is a tawny pale ale with a distinctly hoppy character. We’ve added a prodigious quantity of American aroma hops to this beer to give it a very bold hoppy hit. The aroma is full of tropical fruit and citrus notes as well as pine, spice and herbal elements. It has relatively high bitterness but the extra sweetness from the addition of crystal and Munich malts help to balance this out. I was really enjoying this until Croatia scored. Probably not the fault of the beer….